There are many places where allergens and germs can go unseen in your Bellaire, Texas, home. Taking a closer look at your surroundings can help you identify hidden contaminants that are ruining your indoor air quality so you can take corrective action. You probably think of your sponges, dishwasher, and vacuum cleaner simply as tools for cleaning your home. Unfortunately, these cleaning supplies can get just as gross as the items they’re used to clean, if not more so. Your dish rags and sponges can have higher levels of contamination of salmonella and E. coli than bathroom faucet handles. Clean your sponges by microwaving them for a minute or soaking them in a bleach solution. These items are very inexpensive so swap them out as soon as necessary. Clean your dishwasher by running bleach or vinegar through an empty cycle. Empty your vacuum cleaner often and wipe down the outside to keep dust at bay. Fans can easily accumulate a lot of dust, pollen, and other allergens. Take a look at the ceiling fans in your home and see how much dust has settled on them. Clean fans regularly with a damp sponge or dust cloth. Don’t forget the exhaust fan in your bathroom. Clean the greasy fan and filter in your range hood using baking soda or soapy water. 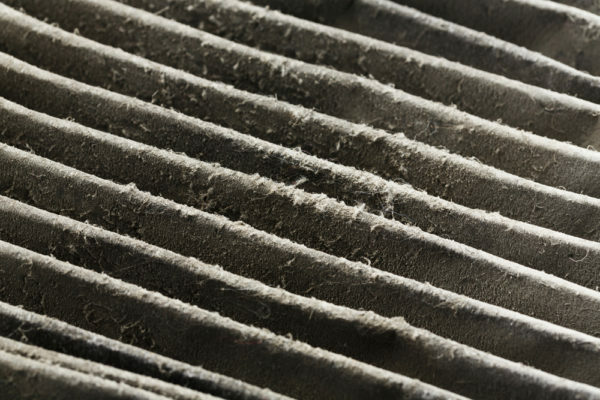 Replacing or cleaning your HVAC filter is one of the most important tasks you can undertake. It’s easy to forget this task, so find a way to make it a part of your schedule or take advantage of thermostat reminders. Change the filter in your HVAC system and your vacuum according to the manufacturer’s instructions. If you have a stand-alone humidifier or air cleaner, check the manufacturer’s guidelines for maintaining these filters as well. If you need additional help maintaining high indoor air quality in your home or business, contact Conditioned Air Mechanical today at 281-201-0356. We’ll help you to find the right solutions for your home.